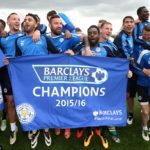 A Leicester City supporter has decided to turn down a cash out offer of £25,000 after he watched his side go five points clear at the top of the Premier League table. Shinji Okazaki’s overhead kick was enough for Claudio Ranieri’s side to beat Newcastle 1-0 on Monday night and the Foxes weren’t the only ones to profit from the result. James Weller, who placed a £10 bet on Leicester winning the title at the start of the season when they were priced at 5000/1, chose to reject Ladbrokes’ offer as he gets closer to his £50,000 prize. Waller was a guest of the bookmaker at the King Power Stadium where he watched the game but despite their generosity he wasn’t tempted to take the money and run just yet. 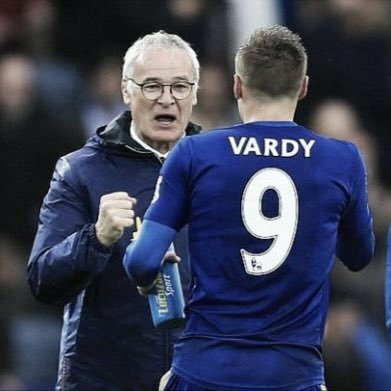 Choosing instead to provoke the bookmaker, he said he would ‘start spending the money on Tuesday morning’ as his beloved Leicester became odds-on favourites to win the title for the first time in their history. He was joined in the match sponsor’s lounge by fellow fan Keval Nakesheree. He has a £5 each-way bet at 5000/1.